If we treat children as if they were what they ought to be, we help them to become what they are capable of becoming. Child therapy can be a vital resource for helping your child move through difficult issues that may present in family interactions or at school. Work with children requires care, compassion, patient and the ability to understand the child’s language and means of interacting. Children have an innate desire to be loved and cared for by an adult; to feel safe, secure, and understood. However, if the child is naturally sensitive, has been easily overwhelmed, or has experienced trauma, they become frustrated and/or afraid, therefore becoming unable to communicate what is going on. A parent may see increase behavior issues, a decrease in grades, or an increase in anxiety producing behaviors. Our work with children is to be able to assist both child and parent in learning how to express and interpret feelings so that there can be secure and safe attachment between child and parent, which will enable your child to have improved behavior and flourish in life and relationships. Therapy with a child can often include play therapy, story-telling and careful observation with respect to the child’s ways of communication their own thoughts and experiences. Play therapy is a well established method for dealing with the limitation of communication with children. In play therapy, a child is able to express their experience through the act of play. Play therapy entails a different language, a symbolic language with which a therapist is trained to understand and translate. One of the most important facets of child therapy is the joining process and the therapeutic relationship that develops between the child and the therapist. It is extremely important that the child feels safe, comfortable and understood. In our work with children, the goal is to join and assist the child in working through issues in his/her own language by providing a safe environment and a set of skills and tools that we explore and learn to apply together. Adolescence can be overwhelming and confusing. It is a time of rapid change in all parts of a young person’s life. Their bodies are growing, hormones are in flux, peer relationships become central and the need to define themselves becomes paramount. This is not necessarily information that anyone parenting, or even in the proximity of an adolescent, knows through experience. Rather, it is has been heavily researched and supported by studies from many universities and the National Institute of Mental Health. It is up to the therapist to find different ways to join with the adolescent, often through the use and understanding of that particular adolescent’s language, interests and views. It is our job as the therapist to make sense of the adolescents’ behavior, and employ the necessary treatment requirements that follow. Understanding that their behaviors are their words and phrases, and that their world consists of their family, peer group, school, and often internet, gaming and music, emphasizes the relevance of different therapeutic techniques. Some of these techniques can include the use of music, film, playing therapeutic games, talk therapy, as well as family therapy. Therapy can help them to develop communication skills and the ability to navigate their world in a productive and cooperative way. This includes the process of healing, not only within the adolescent, but also within the entire family. Frustrated parents and overwhelmed youth can benefit greatly from the expertise provided from counselors experienced in working with adolescent clients. Our counselors have that experience and are able to assist families as they are managing normal adolescent adjustments or even those with more complex clinical presentations. We provide counseling for teens who are struggling with school, peer pressure, family distress and other social issues. We offer support to teens transitioning through the discomfort and insecurities of puberty and encourage teens to be their unique and authentic self so they can grow into healthy, confident and happy adults. Peer influence is vital during adolescent development. Group therapy provides a safe and stable setting in which adolescents develop self-understanding as they discuss and work through a range of issues within their peer group. In group, adolescents will have the opportunity to explore ongoing issues concerning school, college admittance and preparedness, self esteem, peer pressure, identity, parent-child, family, and peer group interactions. The topics of accountability, assertiveness, consequences of behavior, honest, trust and responsibility are also addressed. In addition, developing tools for communication with friends and family members and exploring strategies for the coming years encourage healthy growth and development. Family is the primary experience we have of love and nurture. Family is meant to be a foundation and the place where we cultivate an awareness of ourselves in relation to others. There are often deep emotions and loyalties present within the family system. At times, there may be life stressors that shake this foundation, creating distress and discomfort in the family and between family members. 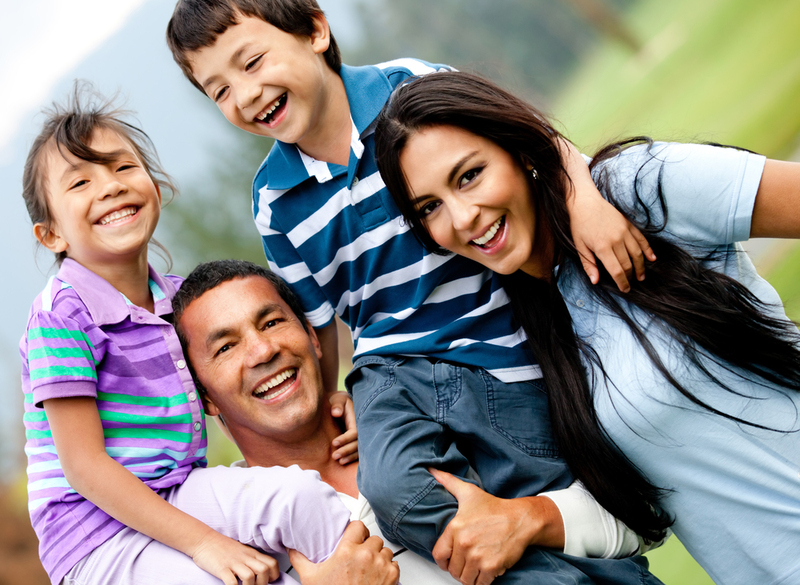 Since no two families are alike, it is important for the therapist to understand the family’s culture, multi-generational history, and individual experiences within the unique family system that represents a particular family. Conflicts between family members can be complex and emotionally charged. If recent life changes, parenting challenges, emotional disorders, or behavior problems are straining relationships within your family, professional treatment could be extremely beneficial. The role of the therapist in family therapy often includes opportunities to work from a strength based approach in which successful engagement and interactions are sought and emphasized. Family history, relationship issues and communication patterns and styles are explores as well as individual experiences and perspectives. The therapist will work with the family towards a greater understanding between the family members, help them to identify and address the difficult issues and learning to use improved communication skills and tools while strengthening boundaries and forging healthier emotional bonds and loving relationships, moving the family toward healing and reconnection. Family therapy includes work with divorced families, blended families, single-parent families, and various constellations of family. All types of families are respected and welcome.